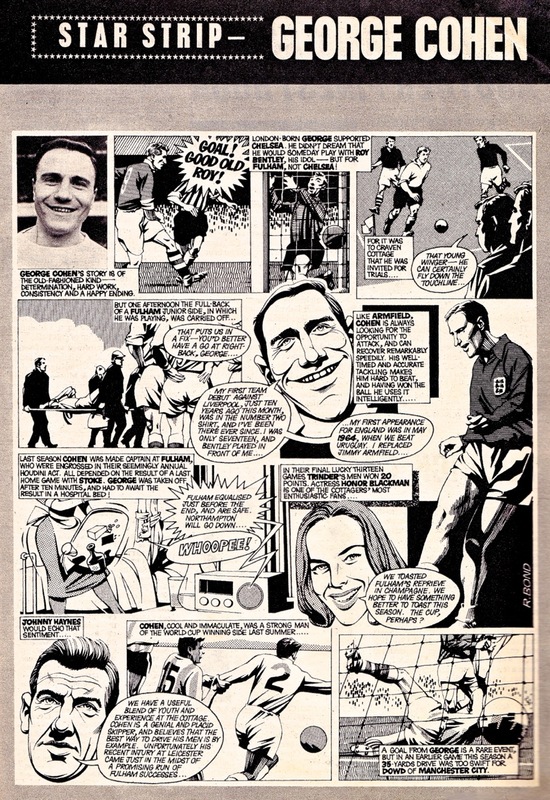 England international right back George Cohen is the subject of this Star Strip edition and it’s certainly one of artist Bob Bond’s more expansive efforts. 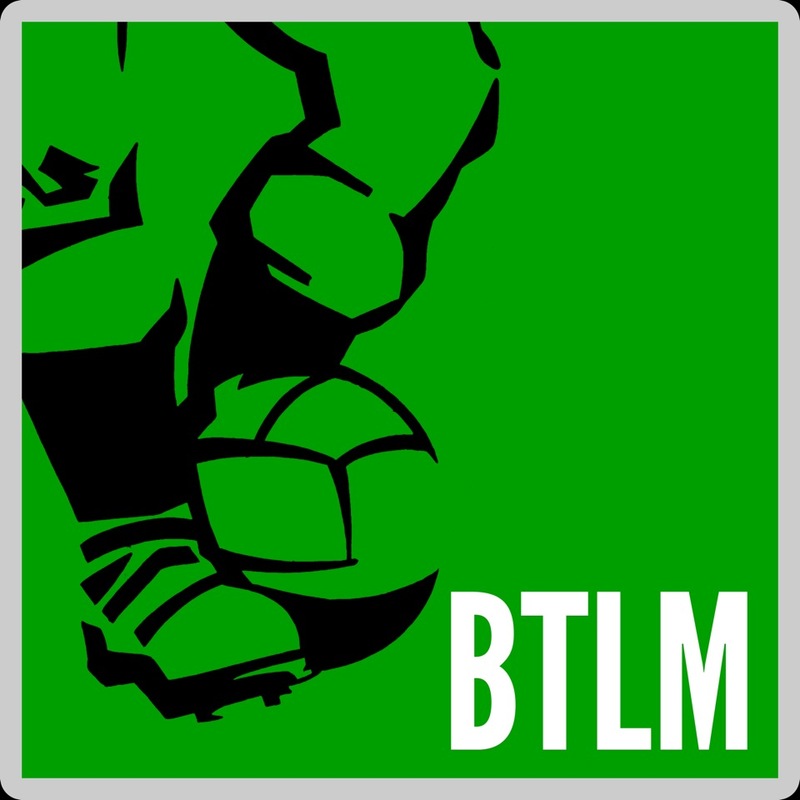 While the Fulham man was a fine player and model professional, his life story was less incident packed than many of the players we have featured in the series. Perhaps conscious of the lack of drama, Bob really goes to town on pushing the abstract and Cohen’s strip duly features a frankly disconcerting frame of the player drawn in a Cheshire Cat style; another of him scattering the contents of his hospital room when celebrating his team avoiding relegation and an odd cameo by the actress Honor Blackman. Few players who represent their country 37 times and play 500 games in top flight football are unfortunate enough to end their career with just one single winners medal, but that’s all that George had to show for a career with perennial relegation battling Fulham. At least the one he did win was the rarest medal of them all: the World Cup earned for his fine England performances in 1966. GC was a craftsman – quiet excellence routinely performed. Regards Thom.